What should you consider when looking? 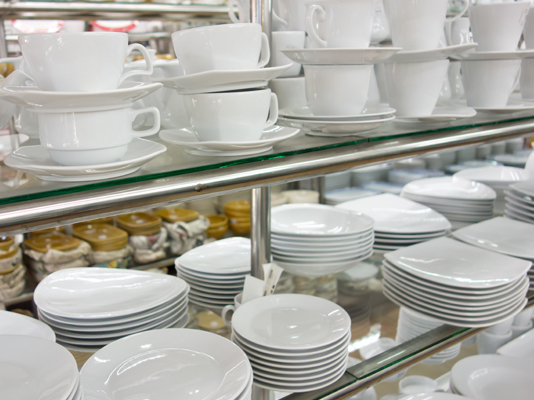 Predominately your seating capacity and intended turnover of seats will determine the quantity (numbers) of crockery and utensils you will go through in a session. 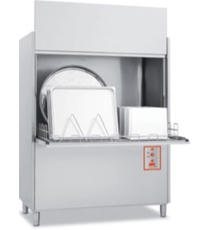 Add this to the cooking utensils / pans etc you will utilise in a session, and you have a guide to the style and specification of the Dishwasher you will require. The same is applicable for glassware. Consideration then must be given to whether you will have a staff member washing during service and how often this will take place. As is the case with most machines, new models are far more energy efficient and use less consumables. 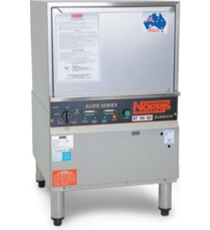 We are available to assist you with how a new machine can save money while increasing efficiency. 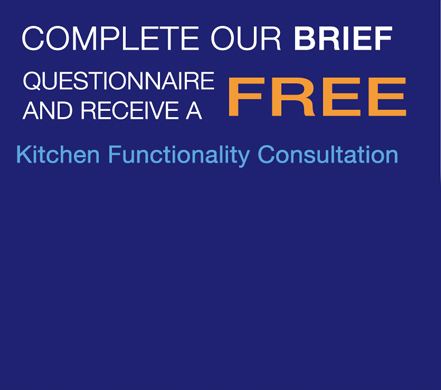 Contact us today on 07 3279 5204 or complete our Contact Form and we will be more than happy to assist! 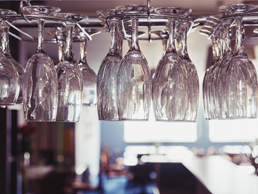 Glassmate 10AMP – operates under the most demanding conditions and is suited to older establishments with power restrictions and areas with low water pressure. Glassmate – tough and reliable, designed to operate under the busiest of work areas, fitted with a cooling cycle to minimise turnaround. Glassmaster – the big brother of the well-respected Glassmate, with increased capabilities and a strong push to environmental sustainability. IM17 – its high performance and energy efficiency will lower your running costs. 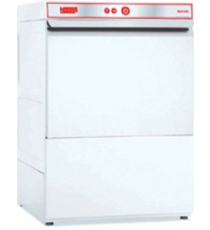 The electronic control system based on the ‘one button, one function operation’ makes operation simple and efficient. 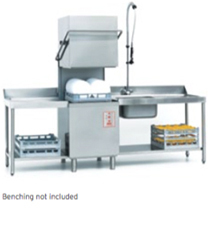 Cafemaster – a compact under bench dishwasher, handling up to 30cm plates and features a standard pump out drain for easy installation, plus built in detergent and rinse aid injectors. 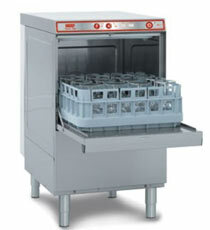 IM5 – compact under bench dishwasher with a useable door height of 35cm, washes dishes up to 33cm. 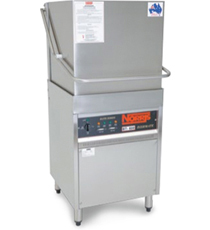 Includes multiple cycles, built in chemical dispensers and pump out drain system. 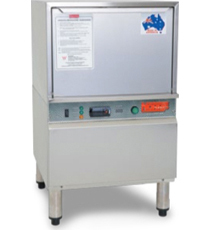 Bantam – compact under bench dishwasher with a usable door height of 35cm, washes dishes up to 33cm. 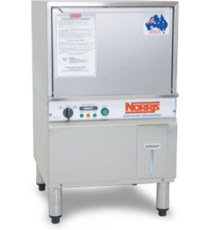 Includes multiple cycles, built in chemical dispensers, pump out drain system and 10amp power. 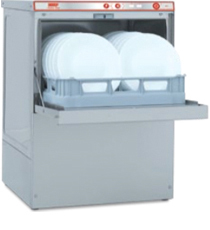 BT160GD – best suited to a small café, that does a mixture of small plates and coffee cups. BT700 MK1 – renown for reliability and powerful performance. 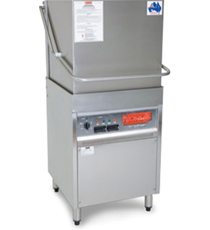 The carried Wash Cycle selection maximises output when time is of the essence. 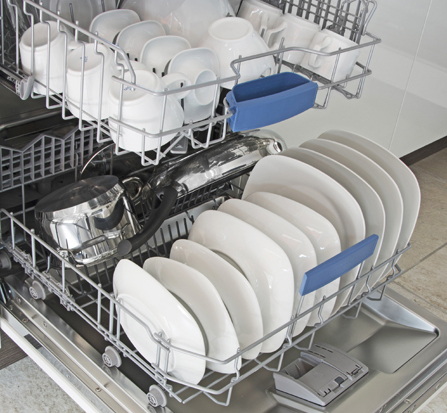 BT600 – Don’t have the power to support a Pass through dishwasher? Well the BT600 is the solution, with a power requirement of just 15amps – simply plug into the wall. 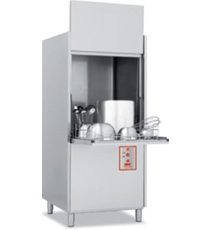 BT2000 – Ideal for compact and busy kitchens. The mechanically assisted hood aids lifting and faster reload. 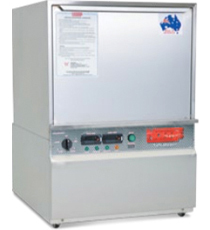 The 1000watt wash pump reduces the need for double washing. IM7 – an extremely user-friendly and functional pass-through machine. 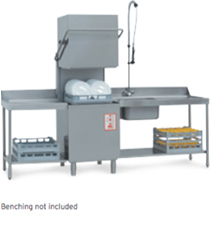 It’s the little brother of the IM20 and is best suited for small establishments. 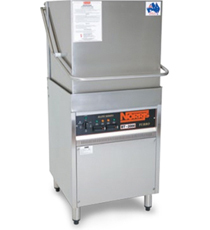 IM20 – a user-friendly and functional pass-through machine, featuring a quick start option so it starts and keeps performing in the busiest of environments. 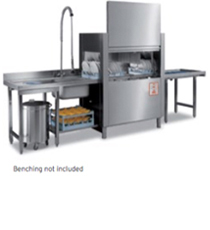 IM200 – a unique, compact multi-speed conveyor, ideally suited for small to medium kitchens with constant workflow. This machine has the punching power of a large rack conveyor. 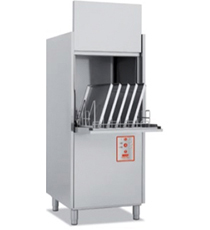 IM1000 – perfect for taking on even the biggest items in the kitchen, with its massive 700 x 700 baskets and 850mm high door opening it is guaranteed to take on the biggest jobs with ease. 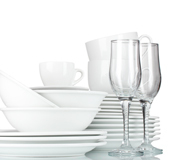 IM65 – ergonomically designed, yet able to take care of the larger items found in the kitchen. With a 650mm opening, it is ready to take on anything you throw at it. IM85 – ergonomically designed, yet able to take care of the larger items found in the kitchen. With an 850mm opening, it is ready to take on anything you throw at it. I have known and worked with Mr Paul Garnett, for over ten years on a number of commercial products. 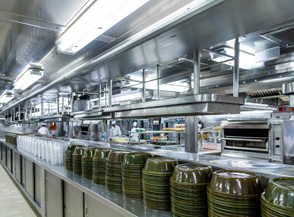 His company has undertaken considerable amount of work over this period, including the planning, logistics, supply and fit-out of restaurants, hotels, taverns, resorts, and aged care facilities. On many of these projects we have worked closely with Paul and his team and we have been extremely pleased with expertise, level of service provided, and the outcomes achieved. Paul has successfully completed over 30 projects in conjunction with us and at all times has performed his responsibilities in a very professional manner. Paul is well regarded by the industry in general as a person of integrity and is respected for his intimate knowledge of cooking equipment and the catering industry. 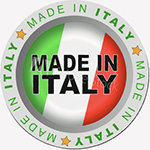 We have no hesitation of recommending him, his company and or the services he offers to any of our clients. Our association with Mr Paul Garnett, now covers in excess of 20 years. 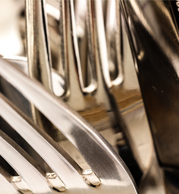 Our dealings with ACE Catering Equipment have always been very satisfactory and their attention to detail, follow up and general service has proven to be second to none. We actually refer to Paul as “Mr Obliging” as nothing is to much trouble and we only have to ask once.